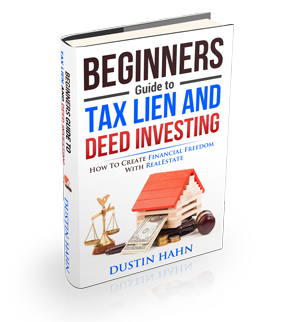 How should I bid at the tax lien sale? Buying tax lien certificates or tax deeds at auctions is different from bidding at auctions. The bidding system can vary from county to county or state to state and is dependent on their unique rules regarding tax lien sales. Some may have strict bidding processes while other counties follow a more freeform procedure. Bid Down the Interest. This method is used when purchasing tax lien certificates. Different from the traditional auction, bidding down the interest method allows bidders to choose how low the interest rate they’re amenable to accept prior to purchasing the tax lien. Profit margins are based on the interest which can be collected when the property owner repurchases the lien certificate during grace period. Due to this, investors need to make sure not to bid too low that will eliminate any real profit. Bid Down the Ownership. In Iowa, investors can be offered the chance to bid the ownership down when purchasing tax lien certificates at auction. This is not actually a favorable method of bidding for many investors. As bidding gets lower, the investor will get less percentage of the property and profits thus making it the most unsuitable of all the bidding methods. Random Selection. There are some counties that prefer the random selection method when selling tax liens as it looks as it is the cleanest method to offer investors the chance at the properties available for sale. In this process, every bidder is given a particular number and then a computer draws a number for every property that will be in auction. The first bidder number that has been drawn has the opportunity to accept or deny the price of the taxes due. If the bidder denies, the next number will then be chosen and so it continues. Premium Bidding. This method is more related to the traditional auction. The tax lien certificates are sold to the highest bid offering or the most premium over the lien amount. Some states or counties, however, don’t permit interest to accrue on “overage” but only to the original lien amount. Purchasing Off The Shelf. There are areas where you can purchase tax liens directly from the tax collector in a specific county. This usually happens with tax liens that have already been auctioned but no one bought. It is important to look into the property before buying.